For those who have mobility issues, taking a hike down a wooded trail may sound like a distant dream. 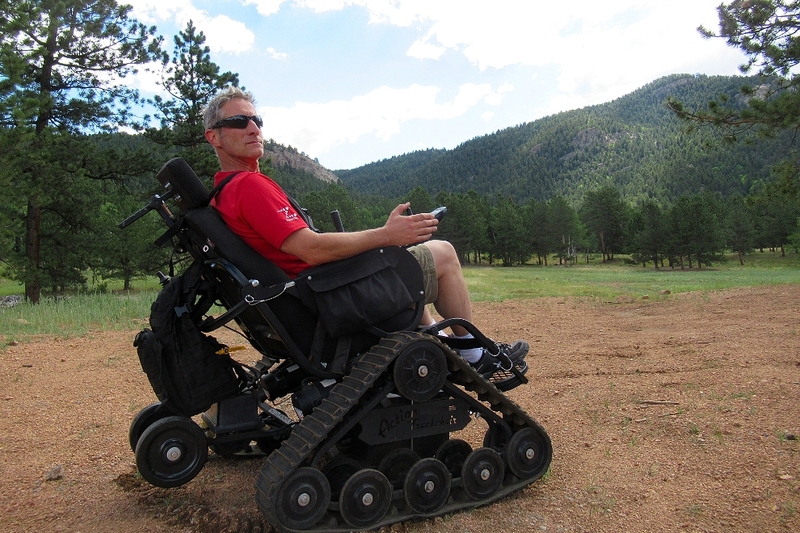 In Colorado’s Staunton State Park, a newly launched Track Chair Program now allows trail access to those who cannot explore under their own power. The Staunton family, who donated the initial 1,700-acre parcel of land to become a State Park, have a healing history in the local community dating back to the 1900s. Dr. Rachael Staunton treated everyone from local ranchers to those with tuberculosis and shared healing strategies with Ute tribe members who taught her about using local herbal remedies. From this history, Staunton State Park now offers the use of donated Track Chairs so that everyone can experience the healing magic of the trails and woods of the area. In 2017, Staunton State Park initiated its Track Chair Program. Over 150 people participated in the program in its first season. The program relies on donated Track Chairs and volunteers. People can sign up on a first-come basis to use a chair (free of charge) to explore the park in one of the three chairs. 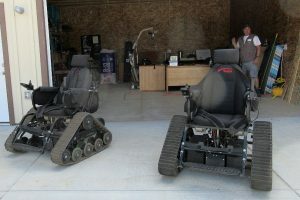 The chair units were made available through donations to the Mark Madsen Accessibility Fund, managed by the Friends of Staunton non-profit organization. The chairs are easy to maneuver and also have controls that the volunteer can use in the event you are not able to on your own or grow tired during your trip. The program volunteer will provide you with instructions on how to operate the chair and travel with you to ensure you have a successful adventure. Mike, one of the program volunteers, is a former LA firefighter whose wife has Multiple Sclerosis. He is enthusiastic about the success of the program and the freedom it allows people to explore or just BE in a natural area. 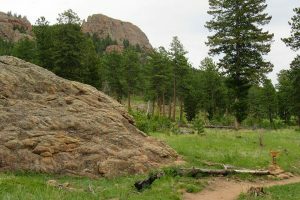 He says that some of the people he has accompanied in the Track Chair want to go over every rock and bump in the trail, while others want to enjoy getting out to sit in a quiet place and listen to the birds sing. To reserve a Track Chair, you visit the Staunton Track Chair page. You will need to answer the questionnaire to ensure your needs can adequately be met. You will also need to have a caregiver to accompany you on your hike, in addition to the Track Chair program volunteer. A $7.00/car park entry fee is charged to all visitors. Be sure that you bring with you what you may need to be comfortable during your hike. Water, sun protection, medical supplies, layers for inclement weather, and of course a camera are recommended. So happy to see the progress at Staunton State Park. I went to the first meeting to see the plans. Hope our donation bought a few inches of the trails. What a great program! Thank you for sharing! What a great program! I hope those with the track wheelchair program will get the word out about the program. Maybe if other parks learn about your program, they might consider developing a similar program to serve visitors with disabilities in their parks.Thank you!